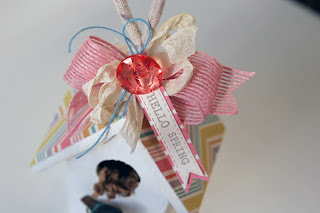 Liz's Paper Loft: 3D Wednesday ~ Hello Spring! OK, enough of me, now on to my project...today I wanted to come up with a home decor project. I found this sweet little bird house at Michael's awhile back and thought they would be darling covered with some beautiful paper! Yep! I think I was right! Now if I had really been thinking ahead I could have made a bunch of these as place setting cards for Easter! Just stamping the name on the tag. Wouldn't that have been over the top cute! All I did was paint the house, cover the roof with paper, added bows, button, and a tag. A little bit of kraft shred and birdie for more details! It was really quick and easy! Oh be sure to visit my design teammates blogs to see what wonderful projects they have created! Awwwww super cute!! I love birds and their houses forever and you did a magnificent job with your creation gosh what an awesome decoration for your home just precious. You are so creative and talented thanks for sharing. 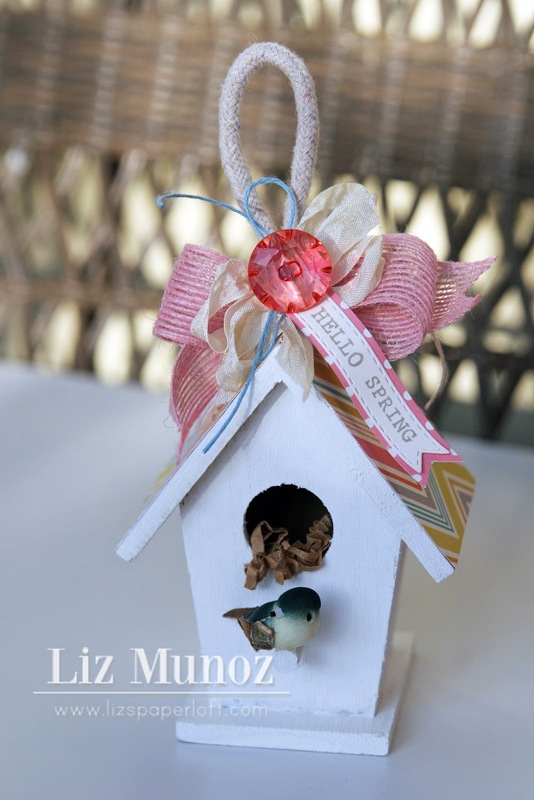 Gorgeous birdhouse Liz! I love your fancy details and btw...love the stuff from my order. The ribbon is fabulous! Liz ~ OMG are you kidding me!! This is simply GORGEOUS!!! WOW! Total jaw dropper! 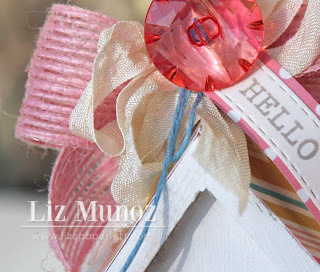 LOVE the details with the ribbon, hemp and embellies ~ then the perfect sentiment and die! Lets not forget that CUTE little birdie too! LOVE it to pieces! Beautiful Liz!! what gorgeous ribbon! This is absolutely adorable, Liz! Yes, that would have been an awesome place card holder! I think you need to get busy for next year!! !